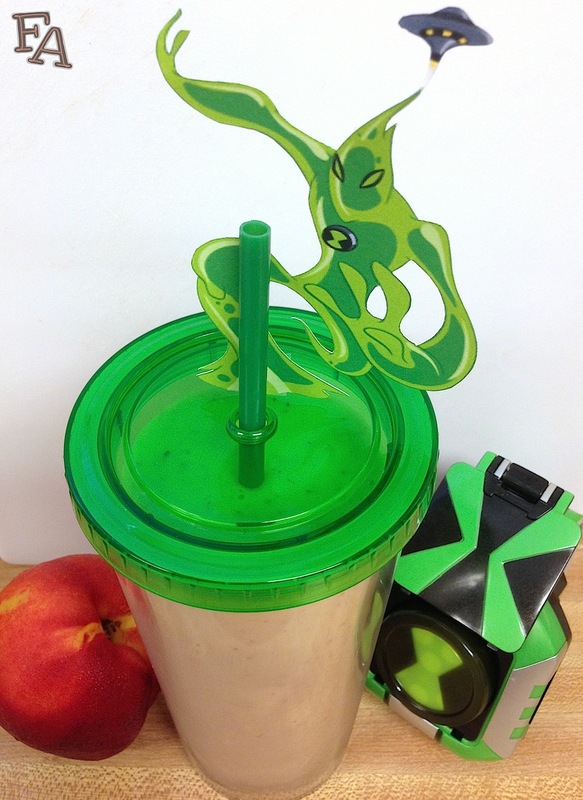 The tumbler/cup shown is available here (Mr. Smoothy face NOT included). In "The Gauntlet" ("Ben 10: Alien Force", s. 1, ep. 9), Ben attempts to give Kevin a nectarine smoothie (Ben has a second one for himself) while Kevin is fixing his precious (read: awesome) car, but Kevin is in such a bad mood that he rejects Ben's gift. Ben responds with, "no juice for you" (harkening to the Soup Nazi from an episode of Seinfeld) and drinks both smoothies himself. 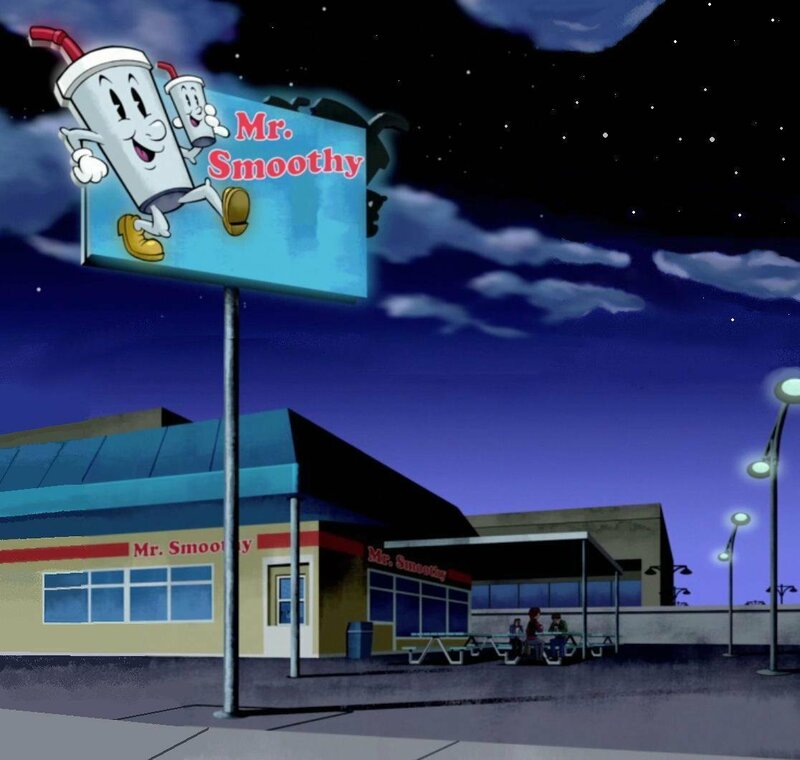 He's good at that, as he usually has more than one anyway when he visits their town's teen hangout, Mr. Smoothy's. Also, in this episode we see the first appearance of Goop (shown farther down), a polymorph alien species that resembles green slime/ooze. 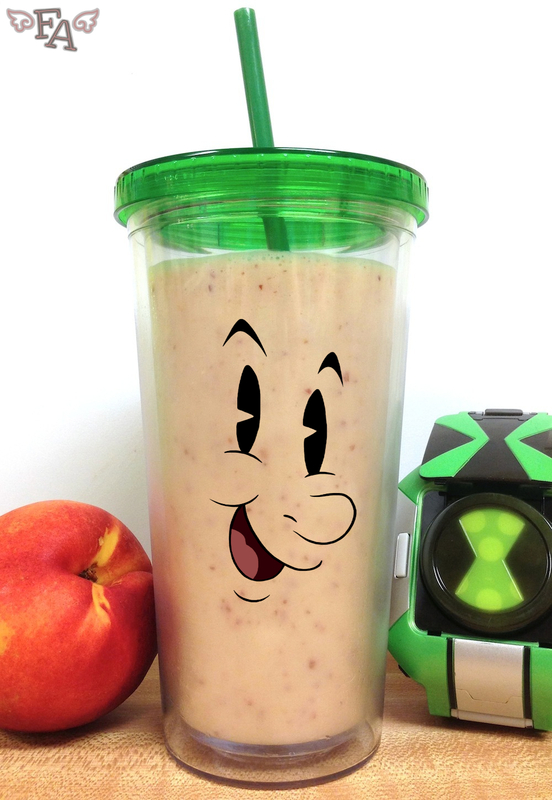 FYI: Throughout the incarnations of "Ben 10", Mr. Smoothy puts out a wide range of flavors including the all-meat flavored smoothie with lamb and sardine. I will NOT be making that. Sorry folks. But I do plan on making one or two others at some point. Note: If you're lactose intolerant and yogurt is a no-no, you can use 6oz. 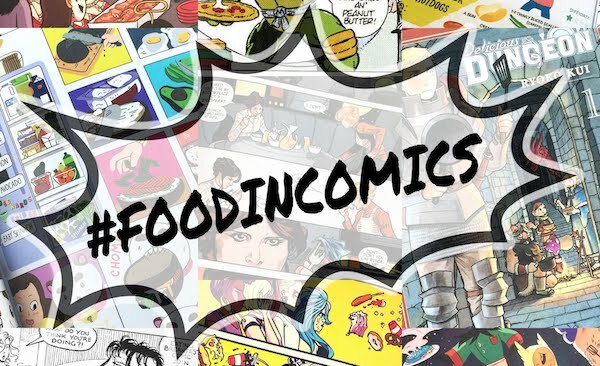 of tofu instead! 1. Cut the nectarines into chunks & place the chunks into a plastic sandwich baggie & freeze overnight. 2. Dump the frozen nectarine bits into a blender & add the yogurt & milk. 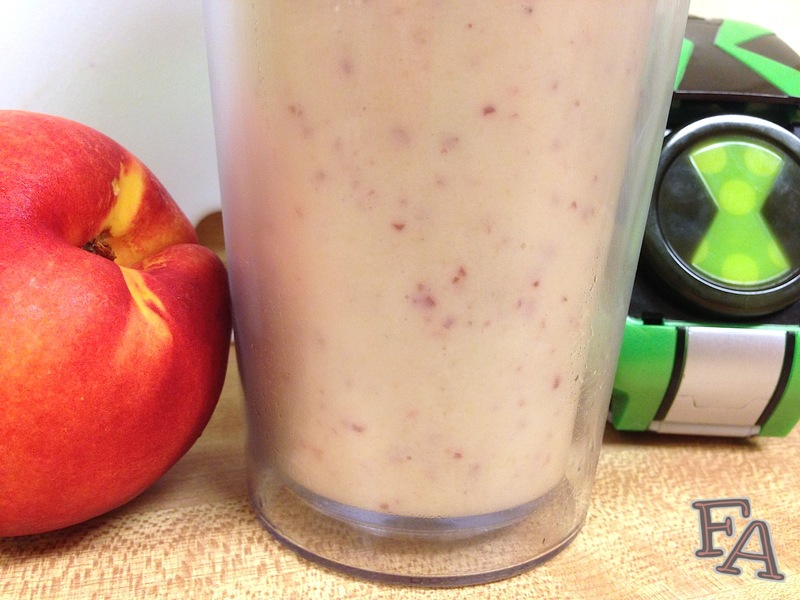 Blend until the nectarines chunks are no lunger chunky & all of the ingredients are fully incorporated. 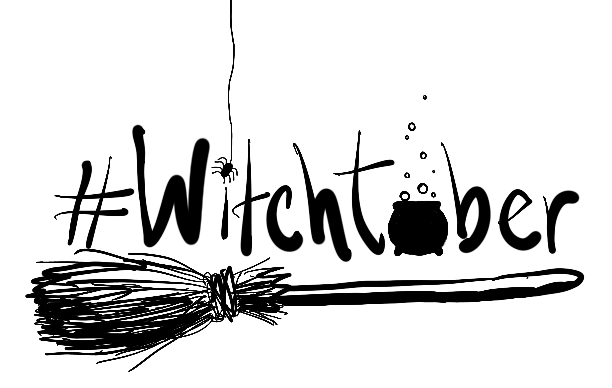 Give it a taste & blend in some honey for sweetness if you'd like. You can also add in the optional ice cubes if you want tiny cold crunchiness.